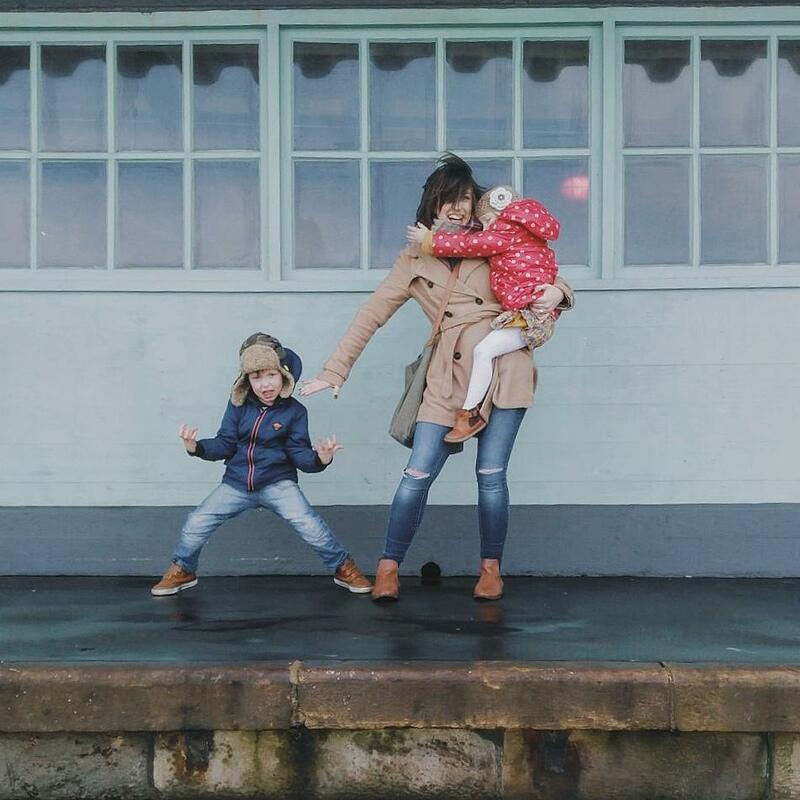 Last summer we spent a good few days down at Folkestone Harbour Arm which I posted about here. 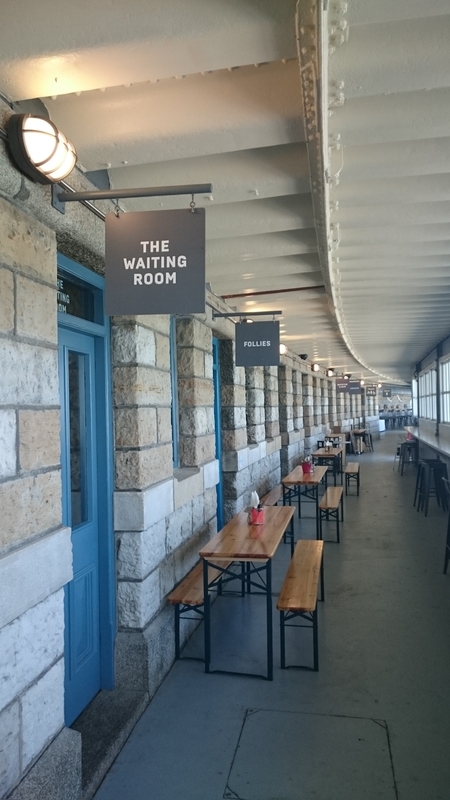 It’s a really fantastic regeneration project which is still ongoing, but during the summer months (March to October) pop up restaurants and bars open on the harbour arm and the place is alive with live music and djs. The rest of the year the arm is open for walking, dependent on the weather. 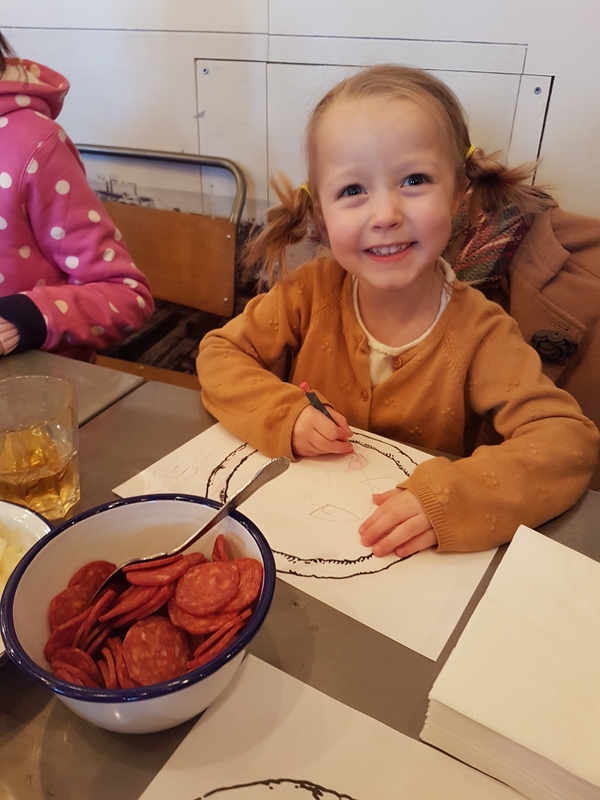 During the summer we also took part in a few of the family workshops which I found through the Facebook page “Summer Family Fun on the Harbour Arm” and we enjoyed a lovely pizza at Follies. 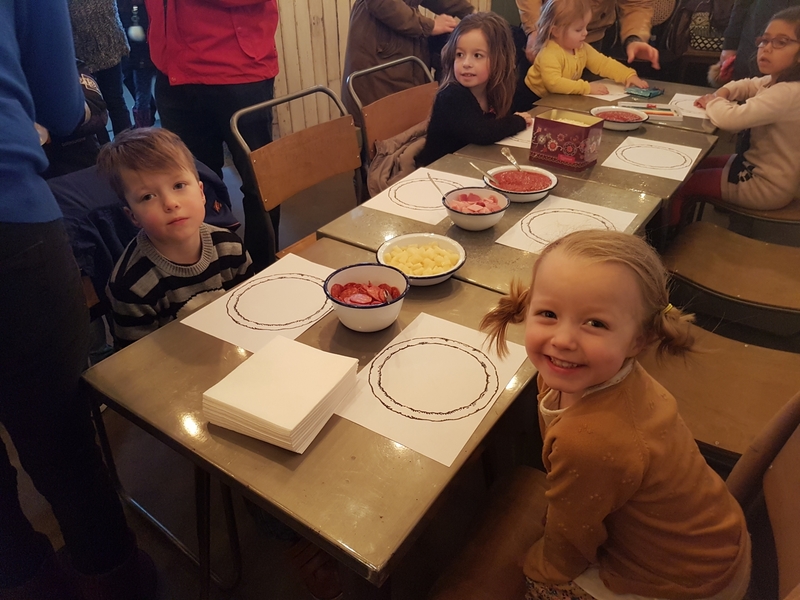 So I was thrilled when I saw then post this week that Follies would be hosting kids pizza making workshops to celebrate their reopening, every Sunday in March from 11.30-13.00. 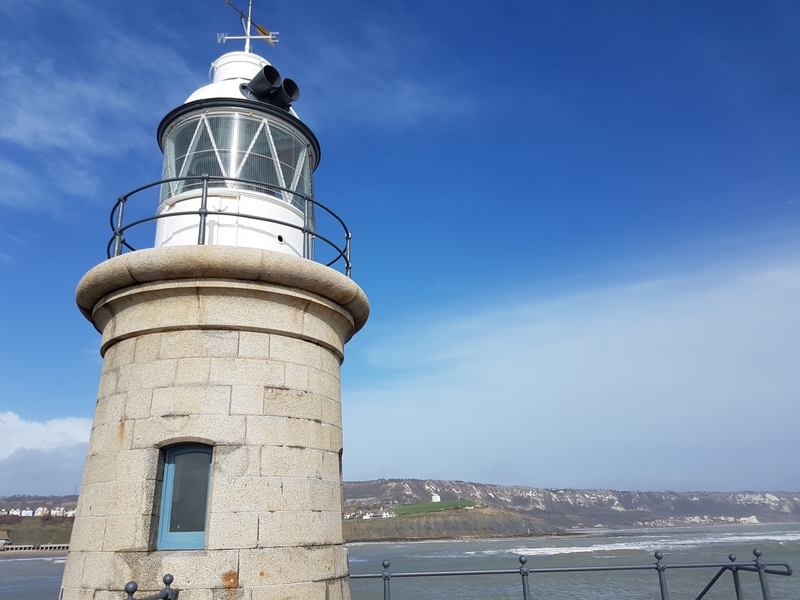 The weather today was less than appealing with torrential rain and wind first thing, so I sent a message to see if the event was still on given that the harbour arm is often closed in high winds. It was and actually by the time we arrived the rain was clearing (though the wind was still strong enough to make me mildly concerned that one of us would be blown out to sea). 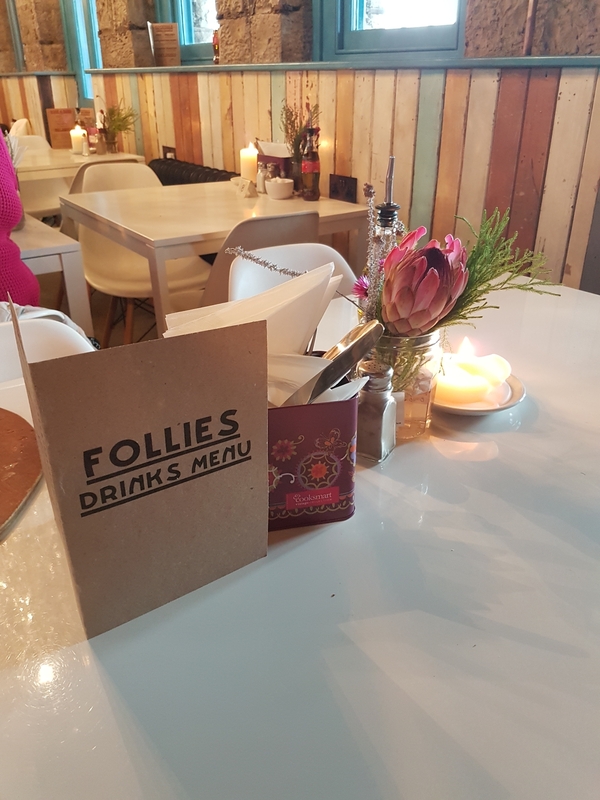 When we arrived, Follies was decked out ready with pizza design sheets and we were given a warm welcome. The children were invited to design their pizza and then given their own pizza base and a wide selection of toppings. 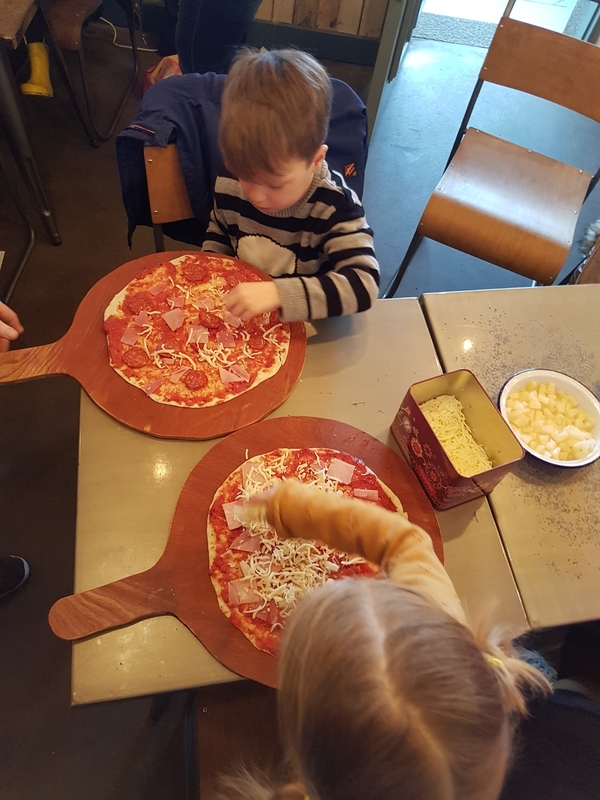 The design sheets with names on helped the chef to identify which pizza belonged to which child. 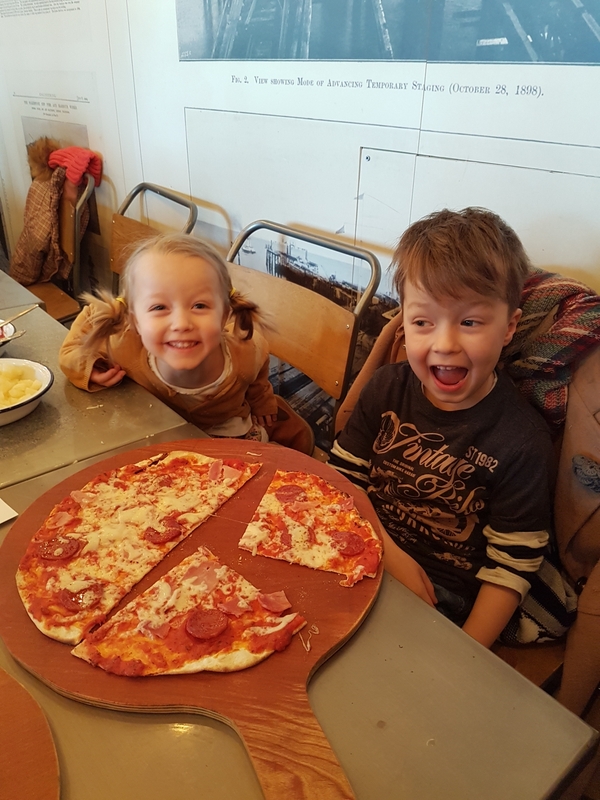 My two loved getting stuck in making their pizza and then delivering it to the wood fired oven to be baked within minutes. The whole event was very well run, well organised and totally free (though I did purchase several cups of tea to warm us up!). Children got to eat their pizza and were given unlimited juice and water as well. I’d recommend getting there early as there were 25 children plus adults there at our workshop and it was quite tight for space, although the advert says they have space for 40 across the 2.5 hours. 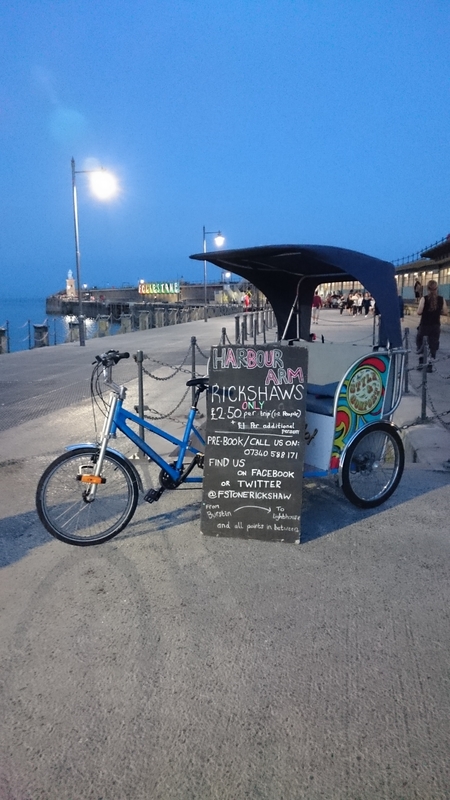 There’s parking right next to the harbour arm which cost £2 for 2 hours. 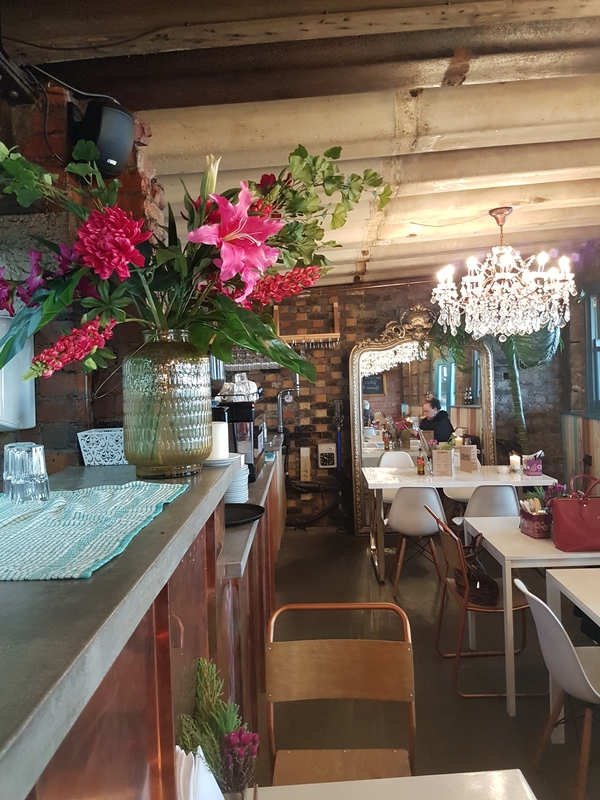 Follies as a restaurant is really lovely – there are two other venues, one in Sandgate and one in Dover – the pizza is delicious and the decor is stunning and I love that the owners are supportive of these local events. I’d recommend a visit as a family or if you’re lucky enough to get out with some friends! After we had finished we took a walk along the arm to walk off the pizza and enjoy the sunshine which had made an appearance and climbed the steps by the famous lighthouse to enjoy the views out to Dungeness. It was great to attend such a fun, family friendly event and gave us something to do on a potentially otherwise dull Sunday (you know the sort of Sundays I’m talking about… ). I’m looking forward to seeing what else goes on over the summer. Wow this looked fun. 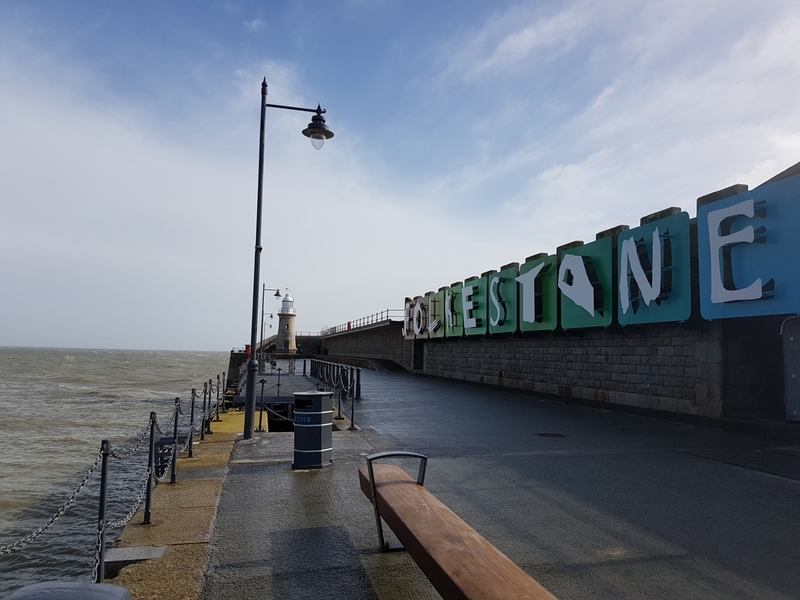 I haven’t been back to Folkestone really since I lived there 15 years ago.